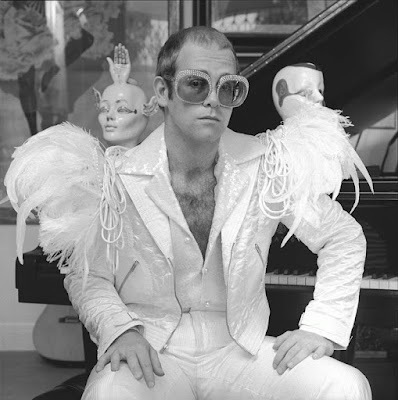 Sir Elton Hercules John CBE was born Reginald Kenneth Dwight today, March 25, in 1947. He is a singer, pianist, and composer. He has worked with lyricist Bernie Taupin as his songwriting partner since 1967; they have collaborated on more than 30 albums to date. In his five-decade career, John has sold more than 300 million records, making him one of the best-selling music artists in the world. He has more than 50 Top 40 hits, including seven consecutive No. 1 US albums, 58 Billboard Top 40 singles, 27 Top 10, four No. 2 and nine No. 1. For 31 consecutive years (1970–2000) he had at least one song in the Billboard Hot 100. His tribute single "Candle in the Wind 1997", re-penned in dedication to the late Princess Diana, sold more than 33 million copies worldwide and is the best-selling single in the history of the U.K. and U.S. singles charts. He has also composed music, produced records, and has occasionally acted in films. John owned Watford Football Club from 1976 to 1987, and 1997 to 2002. He is an honorary Life President of the club, and in 2014 had a stand named after him at the club's home stadium. Raised in the Pinner area of London, John learned to play piano at an early age, and by 1962 had formed Bluesology. John met his songwriting partner, Bernie Taupin, in 1967, after they had both answered an advert for songwriters. For 2 years they wrote songs for other artists, including Lulu, and John also worked as a session musician for artists such as the Hollies and the Scaffold. In 1969 his debut album, Empty Sky, was released. In 1970 a single, "Your Song", from his second album, Elton John, reached the top 10 in the UK and the US, his first hit single. After decades of commercial chart success, John has also achieved success in musical theatre, both in the West End and on Broadway, composing the music for The Lion King (film and musical), Aida and Billy Elliot the Musical. 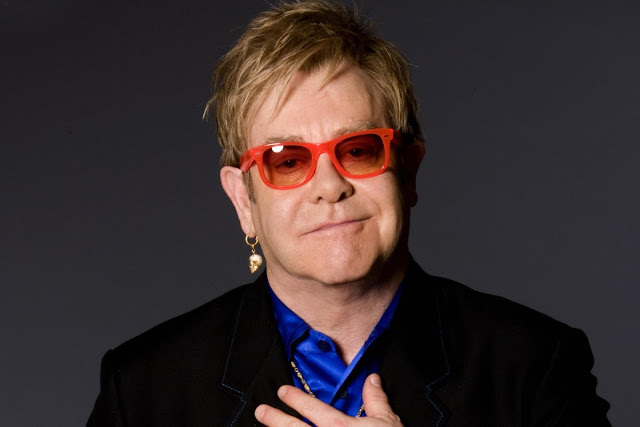 He has received five Grammy Awards, five Brit Awards – winning two awards for Outstanding Contribution to Music and the first Brits Icon in 2013 for his "lasting impact on British culture," an Academy Award, a Golden Globe Award, a Tony Award, a Disney Legends award, and the Kennedy Center Honors in 2004. In 2004, Rolling Stone ranked him Number 49 on its list of 100 influential musicians of the rock and roll era. In 2013, Billboard ranked him the most successful male solo artist on the Billboard Hot 100 Top All-Time Artists (third overall behind the Beatles and Madonna). He was inducted into the Rock and Roll Hall of Fame in 1994, is an inductee into the Songwriters Hall of Fame, and is a fellow of the British Academy of Songwriters, Composers and Authors. Having been named a Order of the British Empire in 1996, John was made a Knight Bachelor by Elizabeth II for "services to music and charitable services" in 1998. John has performed at a number of royal events, such as the funeral of Princess Diana at Westminster Abbey in 1997, the Party at the Palace in 2002 and the Queen's Diamond Jubilee Concert outside Buckingham Palace in 2012. He has been heavily involved in the fight against AIDS since the 1980s. In 1992, he established the Elton John AIDS Foundation and a year later began hosting the annual Academy Award Party, which has since become one of the highest-profile Oscar parties in the Hollywood film industry. Since its inception, the foundation has raised more than $200 million. In the late 1960s, Elton John was engaged to be married to his first lover, secretary Linda Woodrow, who is mentioned in the song "Someone Saved My Life Tonight". He married German recording engineer Renate Blauel on February 14, 1984, with speculation that the marriage was a cover for his homosexuality. John came out as bisexual in a 1976 interview with Rolling Stone, but after his divorce from Blauel in 1988, he told the magazine he was "comfortable" being gay. In 1993, he began a relationship with David Furnish, a former advertising executive and now filmmaker originally from Toronto, Ontario, Canada. On December 21, 2005 (the day the Civil Partnership Act came into force), John and Furnish were amongst the first couples in the UK to form a civil partnership. After gay marriage became legal in England in March 2014, John and Furnish married in Windsor, Berkshire, on December 21, 2014, the ninth anniversary of their civil partnership. They have two sons. He also has 10 godchildren, including Sean Lennon, David and Victoria Beckham's sons Brooklyn and Romeo, and Elizabeth Hurley's son Damian. On January 24, 2018, it was announced that John would be retiring from touring and would soon embark on a 3-year farewell tour, which commences in September 2018. Variety reports, “Elton John: I’m Still Standing — A Grammy Salute” [will star] Alessia Cara, Miley Cyrus, Kesha, Lady Gaga, Miranda Lambert, John Legend, Little Big Town, Chris Martin, Shawn Mendes, Maren Morris, Ed Sheeran, Sam Smith, and SZA, and will air on CBS on April 10 at 9 p.m. ET. The show also features special appearances from John’s co-writer Bernie Taupin, Jon Batiste, Neil Patrick Harris, Christopher Jackson, Anna Kendrick, Gayle King, Lucy Liu, songwriting great Valerie Simpson and Hailee Steinfeld. My only reason for not writing any comment here yesterday was that I had so much to say that it would have been almost as long as your post itself. Sufficient for now to state the obvious by saying that whatever one thinks of E.J. (and for me it's an easy thumbs-up) it's impossible to deny that, despite his regular pratfalls, he is one of THE most significant celebrities both in and out of pop music, of all time, and will for ever remain so.